KPLC under public scrutiny over allegations of providing false electricity supply figures to the president. - Bana Kenya News, Real African Network Tubanane. Home Business featured KPLC under public scrutiny over allegations of providing false electricity supply figures to the president. KPLC under public scrutiny over allegations of providing false electricity supply figures to the president. According to the latest development, the jubilee government did not have enough facts of how many people are connected to the electricity as of January 2017. It is also believed that there is a disconnect between the Kenya Power managers. Who says the truth? 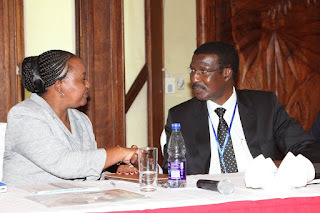 According to the former Director and CEO Ben Chumo, it is indicated that 4.9Million people across the country are connected to the national grid. This is an 116percent increase of what was connected in 2013. The Jubilee government has been distributing this figures in all state of the nation address. A shocking report indicates that approximately 1M meters have not been activated and another approximately 500,000 prepaid meters are in the store. The sources also denote that 900,000 meters have been not credited since they installed. The shocking revelation shows that there is a disconnect between the MD and the Junior managers. Some of the critics say that the President was given cooked up figures to solidify that the supply of electricity has been done as expected on the ground.
" Some people came here last year and wrote our names, they said that by December last year that is, our houses were to be connected to electricity. Until now nothing has been done and we hear from the media it is a world bank project." Said Mwamure Thoya from Langobaya. "They wrote our names and went to Nairobi to present our names and they kept quiet. We are in the dark now because others were connected and they left us." Mary Chiro said at Vipingo. According to KenGen, the electricity capacity rose by a third to 2,341 megawatts, after an extra 380.6 megawatts injected into the national grid to boost the supply. Now Kenyans are just waiting to know who has the true figures and who says the truth.